Lauren was born and raised in Los Angeles. 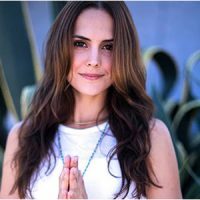 She began practicing yoga as a college student at UCLA to help integrate physical movement with her work as a storyteller. After falling in love with yoga she took her first teacher training and began teaching soon after. She feels so blessed to share yoga as an empowering practice that moves with you off the mat and into your life.